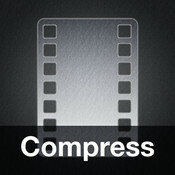 Here is a great free app called Compress. 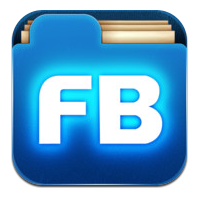 If you keep video on your iPad or iPhone and want to free up some space without deleting your videos then get this app. There are three levels of compression. The two levels offering the higher quality will compress videos at the following levels (these numbers are taken from a 3 min video compressed on my iPad). 262MB to 115mMB using the 720p quality compression and 262MB to 20MB using the 360p quality compression. The quality drop is minimal and I found it difficult to hear or see any difference between the original and compressed version (both 720p and 360p). Before using the Compress app I had 8GB of free space on my 32GB iPad. I keep a large amount of video on my iPad including skills video and Just Dance video for PE as well as keeping video in student portfolios as part of student assessment in HPE. This means I am always on the edge of filling up my iPad, particularly towards the end of a semester. So after compressing 17 Just Dance videos (took about 15 minutes) on my iPad I suddenly had an extra 2.2GB of free space. This was using the 720p compression option, had I used the 320p option I would have saved myself 4.5GB plus of space. Note: Video over a certain length (10 minutes from what I can gather) cannot be compressed by the app without the app trimming your video which is not practical. My main use for this app will be compressing instructional YouTube video and video for student portfolios. Thanks to @mrKampen who shared a blog post on his iteachPE blog explaining the Compress app. At the beginning of the year I thought it might be useful to remind staff how to get work off of the iPads and what options are available. This is the most effective in terms of being able to access student folders and the P Drive (Curriculum) on our school server. Students can create documents in Pages, Keynote, iMovie, Strip Design, Book Creator, Puppet Pals 2 and Brushes for example and transfer them directly to their student folder. Some of these apps like Book Creator and Strip Design, Pages and Keynote allow you to use File Browser straight from the app while others like iMovie, Puppet Pals and Brushes require you to save to the camera roll first and then use File Browser. I have included a quick 3 minute video that helps explain how to use File Browser. This presentation was made using the Explain Everything app which is on our student iPads and is a great tool for students to present their work on. The easiest way to transfer documents from one iPad to another. It is however limited when compared to File Browser. It is easy to activate AirDrop and then transfer video/images (from camera roll) or documents from Pages and Keynote. As time goes on more apps will likely incorporate Apples AirDrop functionality within their apps. The great thing about Airdrop is that it does not require an Internet connection, it just requires WiFi and Bluetooth to be enabled. To read a quick explanation of how to use Airdrop click here. 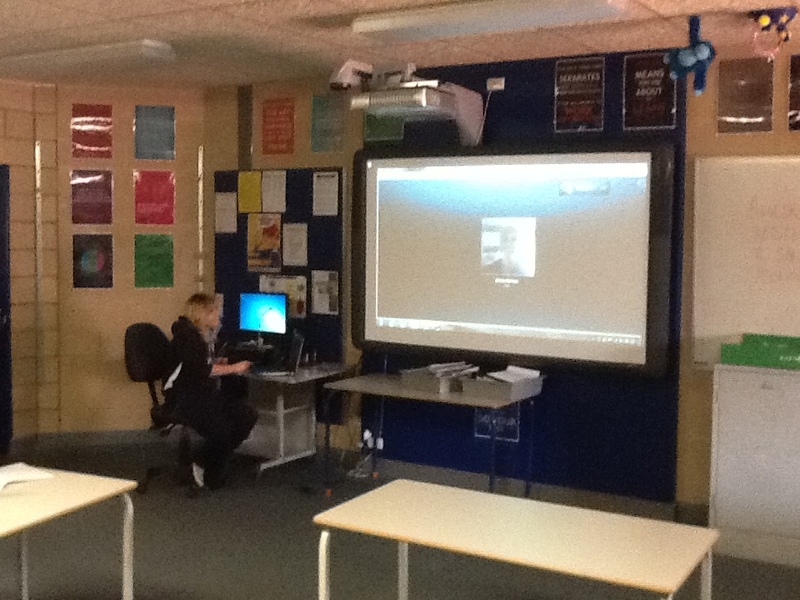 Note: The year 9/10 students and their teachers can Airdrop work between MacBooks. It is not currently possible to Airdrop between iPads and Macs although would expect this to change in the future. Apple have finally seen fit to allow iPads supervised by Apple Configurator (the software we use to run the iPads) to be connected and recognised by other Mac computers (unfortunately not Windows machines). There are a number of Mac machines in the school including the 4 iMacs in the primary area and 4 staff MacBooks (Justin, Allan, Nick and one not allocated yet). Turn on the Mac computer, connect the student iPad and a USB. Transfer your video or photos by dragging and dropping from the iPad to the USB. Note: All Lightning USB cables for the student iPads are connected to the iPad cart and cannot be removed. If you wish to use this method you will need to use the lightning USB cable that came with your teacher iPad. Please ask! If you have any issues with any of the above 3 options please come and see me. I am more than happy to help with any trouble shooting. If you are in the middle of a class and want to transfer student work and I’m in my office I am always happy to come out and help – just ask. All 3 methods are fairly straight forward and will not take a great deal of time for me to help you with. Currently unavailable. Last year the students had the ability to email work from the iPads. Unfortunately over the holidays I had to reimage (unsupervise and re-supervise) all the iPads. This meant wiping all settings and content which included email settings. As email is configured manually on each iPad I have just not got to it yet. Would you like your students to use Google more effectively? Do you want to give your students an easier way to insert footnotes and references? If the answer is yes then here are two great videos from Bradley Lands. Among other things Bradley Lands is an ‘Apple Distinguished Educater’ and ‘Google Apps for Education Qualified Individual’. He has a great blog which you can visit by clicking here. The first video is about how to Google search effectively. This is a must watch for any teacher who has ever asked their students to use Google as a search engine for research. The second video is about how to use Googles Docs to write a research paper or issue study (common to most year 11/12 subjects). Watching this video opened my eyes to the benefits of using Google Docs over Word to write a research assignment. In my previous post I talked about an app called WordFoto which allows students to generate a word list and apply those words to a photo. The photo is then made up entirely of words (none of the original image remains). If you would like to view this post click here. In this post I would like to show you how to take this photo created in WordFoto and add some audio to it using a second app called FotoBabble. After creating an image and applying a set of words to it in WordFoto this image is saved to the camera roll on the iPad. Open FotoBabble and import that image. Once the image is in FotoBabble students can add audio to explain the image and the concepts they have learnt. The example below has been created by me but is a task my 7/8 Health class will be undertaking this term. The task will be to select an image representing smoking and create a word list in WordFoto and apply those words to the photo. Students will then save this image into the camera roll and import it into FotoBabble. In FotoBabble they will have to record an explanation of 3 words from their list that appear in the photo and why they have used them. My example is quite short for the purpose of this post, students work will be more detailed. As well as adding audio there are a number of basic formating options within the app including: the ability to enhance the photo, add effects, add frame (free download in app), add stickers (very basic – in app purchase required to get more), rotate the image and add themed wall paper as a background. Note: Once the audio is completed the image/audio needs to be uploaded to the Fotobabble website. For this to occur a class account needs to be created under the teachers name. Students then use the user name and password to log in on their iPad and upload their work. 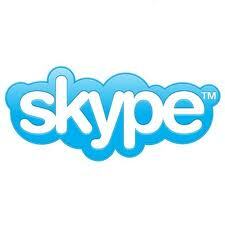 This works through our school wireless system and is fairly quick and painless. 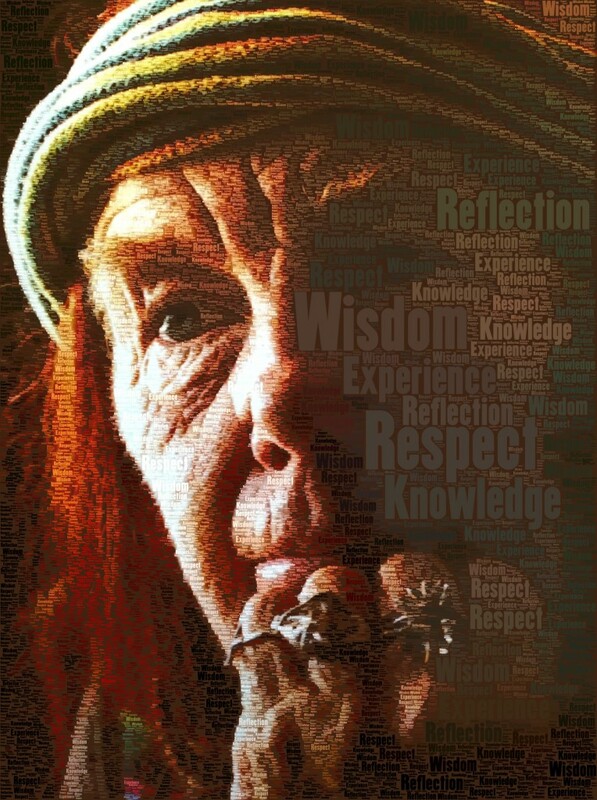 Use the iPad app WordFoto to create an image made up of key words describing that image or the concept represented. The app is fairly simple to use requiring the student to take a photo in the app or import an image from the camera roll on the iPad. Once the image is in WordFoto you can apply a word set to the photo. The photo is then made up entirely of those words. Words are in different sizes, shades and colour to ensure the image is still recognisable. Put in your own word list (up to 10 words). Select from one of the 8 preset styles. Select custom styles and modify background, foreground, shadows, highlights, brightness, contrast, saturation and fonts. In health my Year 7/8 class are doing a topic on tobacco and alcohol. Two tasks I will be asking students to do are to look at what chemicals are in cigarettes and what are the impacts of smoking. To extend the research work students will do in these two areas they will be asked to take a photo of a smoking image (I have printed about 15 high quality colour images from the Internet) and apply a selection of words about the negative impacts of smoking and the contents of cigarettes, i.e. Death, Cancer, Rat Poison, Expensive etc. This is a quick and easy task to do that will help to reinforce some key words relating to smoking tobacco. The final product is professional looking and will be emailed to me so that it can be printed and put up in the classroom. Below are two images that I created. The first picture is using one of the smoking images I have printed for students while the second is from a magazine for the purpose of creating an example for this post. I am not familiar with how Running Records are used to assess student reading but understand it is a widely used technique to assess a students reading performance. I have come across an app called Record of Reading which allows teachers to keep their running records on the iPad and then email the document as a PDF or JPG for filing. As I have mentioned I am not familiar with how these records are recorded so I can only recommend that if you want to use your iPad to do running records that you check out this app. 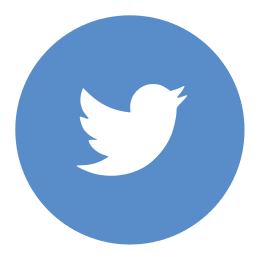 I have added some blog posts from teachers who recommend its use if you are interested. Click here to visit the iTunes store to view the Record of Reading. The following text is taken straight from the AWM website. If you can’t make it to the Memorial or you want to get more out of your visit, borrow a Memorial box. Each box contains artefacts that students can handle, as well as photographs, case studies, uniforms, a video, oral histories, teacher’s notes, and more. Memorial boxes can be adapted for use across many areas of study and are accessible to a wide range of students, from lower primary to senior secondary. Box 04 – Australia under attack! 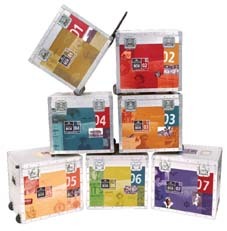 Each state and territory has a complete set of the boxes, with duplicates of the most popular boxes. The use of a box in your classroom is free (the school may have to pay for frieght and handling). Click here if you would you like to view/download a pamphlet explaining each of the 6 Memorial boxes? Click here to vist the Australian War Memorial Website and have a look at these great resources. A powerful TED talk by poet Shane Koyczan about growing up, life, finding identity and bullying. It includes his poem “To This Day”. Well worth the 12 minutes and five seconds of your life. The second video below is Shane’s poem “To This Day” put to animation. This video is a bit shorter (7 minutes 37 secs) as it is only the poem. If you wanted to do something around bullying with students this video is very powerful and could be a great discussion point.